Hey Guys what you think Is it myth or reality? Actually different people have their own view on making money online, some think its all a scam and impossible while others think it’s a piece of cake to make money online. As per my view “Any one can make money online but you need to take care from online scam while searching on internet”. There are many common myths about making money online and some of the most common ones we will discuss here. Many time You will see sentences like “I made this much money in one month and you can easily too”, are all sales tactics of companies and are actually hardly ever true. These are myths and to earn that much money it takes time, a lot of hard work and effort. It is impossible to earn a lot of money just at the beginning but slowly with hard work and effort one can do so. Now it is more about quality than quantity. You can not make a million dollars in just a overnight, to do that you need to go for lottery . Yes, you can make good amount of money in a day but that need hard work of lots of previous night. Below you can see sites which show when you search on Google. For Privacy reason I am not showing name of sites. For your reference you can read Top 5 biggest internet scam all the time and one latest in India caught in January 2017, Scammer brought the idea of ‘trade in likes’ to the investors means you just need to likes on Facebook and they will provide you money . But the catch is you need to pay some amount for joining this job and joining fees was started from approx $1000 and on each like he use to pay some amount so people were happy on getting money from this worst work.. but within few month only he collected approx 370 billion INR. Think How easy and big scam it was!!! For more info you can read here Facebook like scam. well, this myth is quite prevalent among many and they think only who are nerds and computer experts can make money online. But, this is not true. With the basic computer skills, one can make money online easily. Here it is more important to be able to connect with people than to have excellent technical ability. You need to be a good relationship manager more than have great computer skills. So are you expert in something? And this is actually myth of people to have expert on something only make money online but One has to be knowledgeable about topics and other things, rather than be an expert on something. It would be good to know any topic well but you do not need to be an expert in it to earn money online. The key over here is to recognize your skills and your passions and choose a topic based on that. If you are unable to find something that you like writing about then you will have a really difficult time making money online. To make money online you do not need to use cheap and sleazy sales tactics. Some people do it never the less and try to fool others but most of the times, people work hard and make great efforts to sell their products online honestly. It is not necessary to use cunning and clever methods to full fill the sales targets online. many people do it by working hard and being honest. Even if you are using any cheap technique to sell product and quality of product is not good then you will not get any result of that so it’s better to do correct marketing for legitimate product. So how Chinese and Japanese people earning online? They don’t know much English !!! that means you can also earn by working in your local language like Russian, Urdu, Hindi, French or use any regional language also. One can earn money online even without having too great a writing skill. Many people learn writing skills along the way and earn enough money online without having good hold over English language. Thus it is totally mythical that only people who are good writers or are good in English can earn money online. You can earn by even by online captcha entry work where you just need to know alphabets. What do you think Is it easy? But many People think it is easy to work online as you do not have a boss breathing down your shoulders and you have no time limit to finish the work, but this is not true. 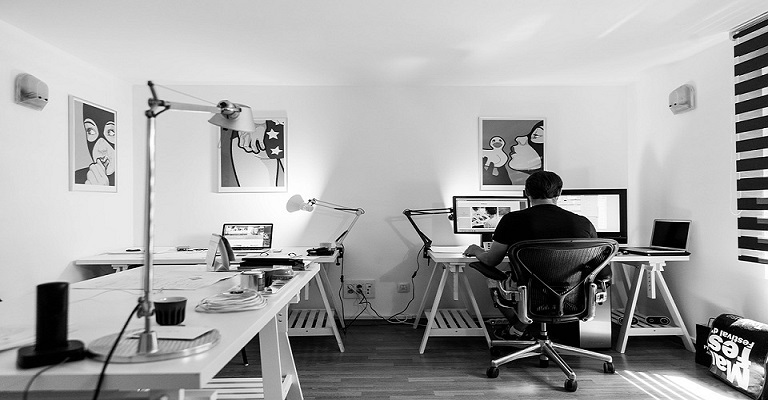 To be successful Freelancer and earn money online , you need to be disciplined and focused. This requires you to shut off all the distractions around you and focus on the work only which is not very easy sitting at home and working. You have to do similar office type job only things change is no pressure from boss and pressure to complete work always there. It’s true if I talk about offline work but when we talk for online work then there is no compulsion to invest money to start money. Many work available online like blogging, freelancing, typing, Tutoring and many more where you just need to invest your talent not money. Yes I am also agree with you some place may need like to start blog you need to pay small amount and few company also demand to join their network but please be aware from all such scam. This line may be you can hear from people who have already tried and failed because they chooses very easy and attractive way to make money and get trapped in scam. 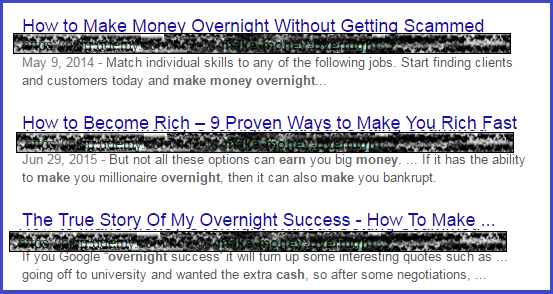 So before listen to any one, I request you to try yourself by searching legitimate way of earning. 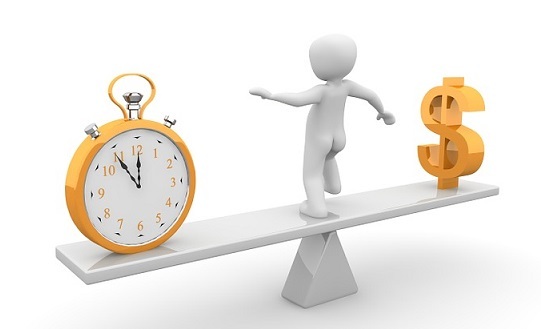 Initially you might not earn good amount but with time move you could make good amount of bucks in a day. May be few sites you find scam but not all. You can see many successful people and blogs over internet which are making good money. It’s depend on what you are doing and what skill you possess. If you have good skill then you can make money very easily and fast but if you do not have any particular skill (not as expert like typing work then you at least know which character where in keyboard) then first learn any skill then jump into ground of online world. Even if you give your free hours then also you can make few bucks to start earning a living at home. When people start earning few bucks in a day then they think if they go it as a full time then they can make huge money but if there is no guarantee about earning fixed money in every month then I consider this step as silliness. If you have responsibility of your family people then you must thing 100 time before quite job. Hope you like this blog post…If yes then please subscribe this blog, follows us on twitter, like our Facebook page and if you have any doubt or want to add something then please write us in comment or contact us.